Veteran broadcast journalist Jessica Soho has retired as GMA News Program’s First Vice President after 30 years of serving the network. According to an article published on Yahoo! Celebrity Philippines, Soho is not leaving the company entirely. She remains a Kapuso talent and host of Kapuso Mo, Jessica Soho (KMJS) on GMA-7 as well as BRIGADA and State of the Nation (SONA) on GMA News TV, the report said. 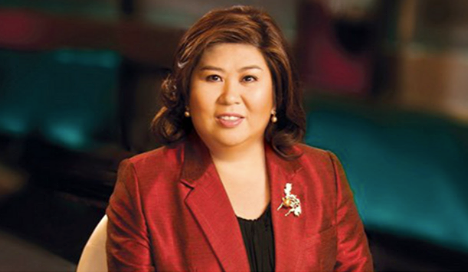 The news anchor and host, who strengthened the credibility of GMA News, served as Production News Manager (2000), Acting News Director (2002), Vice President for News (2004), Vice President for News Programs (2008) and First VP for News Programs from 2013 until her retirement. While it's clear that she retired by virtue of a three-decade length of service, there have been speculations that GMA's new management has something to do with her decision. According to an Inquirer report, 30 percent of GMA Network's equity shares are now owned by San Miguel Corporation president and chief executive officer Ramon Ang. Rumors circulating on social media say Jessica Soho might hold a higher executive position at GMA Network or end up jumping ship once all of her programs end.